If, as we have seen, the knowledge of the intellect and the consent of the will be necessary to constitute a sin, how can there be secret sins--how can there be sins which we do not know? First, because we may have committed what we have afterwards forgotten, which thus becomes secret to us, but is yet recorded in the book of God's remembrance. Next, we may only half understand the sinfulness of that which we do, and one-half of our guilt is secret from us. Again, through a culpable ignorance of ourselves, we do not know how often we offend God. We read in Holy Scripture these words, which at first sight are most alarming: 'There are wise men, and there are just men, and their work is in the hand of God; yet no man knoweth whether he be worthy of love or hatred (Eccles. ix. 1).' That is, even the just man, even the wise man, even the man that does many works which are remembered before God, even he cannot know with a perfect consciousness whether in the sight of God he be an object of love or an object of hatred; and that because in the light of the presence of God sins which are perfectly invisible to us--sins of thought, word, and deed which, in the twilight of our conscience, in the confusion of our soul--are secret to us, are visible to God. They who know this best can only have the confidence of hope that their sins before God are forgiven. They have no revelation of it, and therefore they cannot know it with a Divine certainty; and that which we do not know with a Divine certainty, we can only know by a trust of confidence and hope springing from the promises of God, and the consciousness of our own soul. This must be manifest to every one who at all knows himself. He knows that the leaves which fall from the trees in autumn are not more in multitude than the words we scatter every day; that the lights of the sun, glancing to and fro all the day long, are not more multitudinous than the thoughts perpetually rising in our hearts; that the motion of the sea, or the restlessness of the air, is not more continuous than the working of our imagination, our heart, our affections, our passions; and in this mystery, this confusion of our being, who is there that will venture to say that the good predominates over the evil, the light over the darkness, and that in the sight of God he is an object of love rather than of hatred? Now I have felt that our subjects hitherto have been of a severe kind, and the subject that we have now will not be less so; but hereafter I hope we shall be able to pass on to the grace and the mercy of our Lord Jesus Christ, and to the consolations for which all that I have said is but the preparation. We are approaching to our Easter joys; that is, to the Precious Blood of Jesus Christ and to the perfect absolution of sin, which He has laid up for all those who are penitent. Let me, then, take up and complete this last part of what I have said. We have already seen the nature of sins of commission. They are either the mortal sins, which separate the soul from God in this life, and, if not repented of, in the life to come; or they are the venial sins, which are the disease though they are not the death of the soul; and these are the greatest evils, next after mortal sin, that the heart of man can conceive. They are the preludes of mortal sin in many, and are punished by detention from the vision of God, both in this world and in the world to come. We are bound by three obligations to glorify God by fulfilling the end of our creation. First, by the law of our creation itself. We were created to glorify Him by a life of obedience as much as the earth was created to bear fruit, and the firmament to give light. If the firmament were turned into darkness, and the earth into desolation, it would not fulfil the end for which it was made; and so, too, with the soul that does not glorify God. Again, we are bound to glorify God by a direct commandment, and that direct commandment is written in the Decalogue and in the two precepts of charity: 'Thou shalt love the Lord thy God with thy whole heart, with thy whole soul, with thy whole mind, with thy whole strength, and thy neighbour as thyself (S. Matt. xxii. 37,39).' And we are bound to fulfilthese two precepts of charity under pain of eternal death. There is also a third obligation--not indeed binding under pain of eternal death, a law of which I shall speak hereafter--and that is the law of liberty -- the law of love, of gratitude, and of generous freedom, which is written by the Holy Ghost on the heart of all those who, being born again in Baptism, are united to our Lord and Saviour Jesus Christ by the bond of charity. Sins of omission are against either the law of our creation, or the law of the two precepts of charity, or against the law of liberty. If we leave undone the good or the duties to which we are bound by those obligations, we commit sins of omission. I have already shown how sins that are venial lead to sins that are mortal, so I will now show how sins of omission lead on to sins of commission. They are the beaten pathway which leads to actual sins. Now sins of omission, or the leaving duty undone, may indeed arise from any one of the seven capital sins: and then it is also a sin of commission. A son may omit his duty to his father through anger. The sin of anger adds a sin of commission. So I might take examples from the others; but I will select one only, and that because it has the greatest affinity to sins of omission; I mean the sin of sloth. We understand at once that pride, anger, jealousy, and the like, may be mortal sins, because we can understand their intrinsic hatefulness and guilt; but sometimes men say, 'How can a sin of sloth be mortal?' We must therefore distinguish. The sin of slothfulness is not mortal except under certain circumstances; but a state of sloth and a habit of sloth is certainly a mortal sin. We must therefore distinguish between slothfulness and sloth. Slothfulness is the habit or state of the soul, tending towards the last mortal state of sloth, which I will describe hereafter. Let us take this as our example, and I will show how this slothfulness leads to sins of omission, and how these sins of omission lead to sins of commission, and how these sins of commission at last terminate in the mortal sin of sloth. 1. Suppose, then, some Christian, who is in the state of grace and communion with God, living in charity, in the love of God and the love of his neighbour--that is, leading a good and pious life. One of the chief duties which he will punctually and carefully fulfil is the duty of prayer. You will remember in the Book of Acts, when Saul the persecutor was converted by a special miracle, the sign given of his conversion was this: 'Behold, he prayeth (Acts ix. 11.).' Prayer is the breath of the soul. Just as breathing is the sign of life, prayer is the sign of the life of the soul. Prayer means the union of the soul with God, the converse of the soul with God, the soul speaking with God, 'ascending to God,' as S. Augustine says, 'by thought,' that is, in meditation; 'by the affections,' that is, in worship; and 'by the will,' that is, making resolutions of obedience. Every day, a man who is a Christian, and living in a state of grace, will pray to Almighty God not only morning and night, but at other times in the day. Prayer will be his habit. Now what is the effect of sins of omission in respect of prayer? Let me suppose that business, professions, pleasure, worldly distractions, begin to break the habit of prayer. Perhaps at first a man only shortens his prayers; or he does not even shorten them, he says them more hastily. He says them materially as before, but not mentally, for his heart is somewhere else. He is in haste, and though he repeats literally his usual prayers, his heart is far off: or at least he ceases to pray with the same sweetness and goodwill and fixedness and recollection. Here is an example of a sin of omission which is very common. I do not take the example of a man giving up his prayers--that stands to reason--but even if he begins to omit the fervour and recollection with which he says his prayers, what does it lead on to? A certain wandering of the mind, a, multiplicity of thoughts, which crowd upon him; the associations, which glance off, as it were, from every angle of his memory and of his intellect. His mind is full of colours cast in from the world even while kneeling before God. Little by little his mind gets the habit of wandering, and then he begins to complain that he cannot pray. When he kneels down, his heart is in his house of business, or in the pleasures of last night, or in the amusements of to-morrow. He is, as we say, in the state of distraction or of dissipation; his mind is scattered, he has lost his recollection. What is the next step? He begins to talk much, to scatter his words without consideration. A man of prayer has a habit of weighing, of measuring his words. As he has the habit of prayer, so he will have the habit of silence; he will be what we call an interior man. His mind will be turned in on itself. He will not be a chatterer; but men who begin to lose their habit of recollection before God become chatterers among men. Solitude becomes irksome; to be alone is torment; to be silent is a pain--he must be always speaking. An uneasiness of being alone with themselves makes such men seek for society; and a desire to get rid of uneasy recollections makes them continually talk: and in this way they commit a multitude of faults by their tongue. But for every idle word that men shall speak, they shall account in the Day of Judgment (S. Matt. xii. 36.). Well, there is worse than this. S. Paul of the Cross used to say to those about him, 'Stay at home; stay at home.' When they asked, 'What do you mean? Am I never to go out of my house?' he would answer them, 'Stay in the solitude of your own heart before God, and keep three lamps always burning before the altar--faith, hope, and charity-- before the presence of God in your heart.' Now the man I have been describing began, perhaps, with thoughtfulness; but little by little the dissipation of his thoughts and the constant talk of his lips have made him to be, as we say, 'all abroad.' He is not 'at home;' he is not dwelling with God; the three lamps grow dim; faith, hope, and charity burn low. This is just the state that our Divine Lord has described, when He says: 'Any man putting his hand to the plough and looking back, is not fit for the kingdom of God (S. Lake ix. 62.)." He does not say that he will never be saved, because he may turn back and steadily follow out the furrow to the end; but so long as he has his face averted from God, all the activity of his mind and being is turned from God to creatures. 2. This is the first effect of a sin of omission; the next is that it produces a kind of sluggishness in everything that he does. Outwardly, perhaps, the actions of his life are to the eye of his neighbours just the same as they were before; but to the eye of God, a change has passed upon him. The eye of God, to whom all things are open, sees that the inward state of that man is not what it was. There is a certain sluggishness which no human eye can detect, but God sees it in everything that he does. I have said before, that fervour consists in doing our duty with great exactness. He begins to do his duties with a certain carelessness, so that the motives from which he acts, and the manner in which he does even things that are good, are not what they were. Just as a man who writes in haste, or who draws in haste, will not complete any figure or any letter with exactness, so it is with the man who begins to lose his fervour. Then he begins to be unpunctual. He puts off his prayers in the morning; he forgets them till noonday, and perhaps at noonday he says only half of them; and at night he says them with an uneasy conscience. Perhaps the next day it is the same, or even worse. Unpunctuality begins to run through all his secret duties before God. Then comes irregularity. That is to say, he used to live by rule, he used to take the will of God as his will, and try to conform himself to it as well as he could; but now he lives by the rules of the world, the customs of men, and I may say, at haphazard and at random. The next step is this: he begins openly to leave duties undone. To take one example: every one who is in a state of grace has the seven gifts of the Holy Ghost. Now these seven gifts are: Wisdom, Understanding, Counsel, Knowledge, Piety, Fortitude, and the Fear of the Lord. Four of these perfect the intellect, and three of them perfect the will; but a man in this state of sluggishness ceases to act according to the light and direction of these gifts of the Holy Spirit of God. These seven gifts have been described as the sails of a ship; the more we spread them the more we speed the soul; and the more we speed the soul the more we are carried onwards in the way of salvation. Those who neglect those gifts, or by sins of omission do not make use of them, leave the sails reefed or furled; and their course in the way of eternal life is retarded. Again, there are in every one of us the graces of faith, hope, and charity. In your prayer-books you are bid to make the acts of these three virtues. But what do acts mean? They are inward actions of the soul towards God, whereby we exert the grace of faith, or the grace of hope, or the grace of charity in union with God. But these soon lose their power in a man who has ceased to pray. Next comes neglect of the manifold duties of charity towards our neighbour. What was the sin of the Priest and of the Levite when each of them saw the wounded man in the road between Jerusalem and Jericho? The priest came that way, and looked upon him, and passed by. The Levite came, and saw him, and passed on. They committed a sin of omission, in respect to the charity they owed to their neighbour. What was the sin of Dives, at whose door Lazarus lay full of sores? We do not read that he refused to help him--we certainly do not read that he drove him away from his house--but he gave him no help. It was a sin of omission. Our Lord says that at the Last Day He will say: 'I was hungry, and ye gave Me no meat; I was thirsty, and ye gave Me no drink; I was naked, and ye clothed Me not (S. Matt. xxv. 35).' He will not say: 'I asked you, and you refused Me;' but,' Ye did not seek Me out;' which again is a sin of omission. Lastly comes the sin of omission of love towards God. We are bound to love God with our whole heart and our whole mind; and the man who commits sins of omission in charity towards his neighbour fails also in charity towards God, for 'he that loveth not his brother whom he seeth, how can he love God whom he seeth not (S. John iv. 20)?' The state of such a soul is thus described in the parable (Luke six. 20): the servant who had received a pound took and buried it, and another who had received a talent wrapped it in a napkin. When the lord came, they both restored that which they had received undiminished; but it was not increased--and why? Because they were guilty of a sin of omission. They had not used that trust which was committed to their stewardship; and the excuse given was this: 'I knew that thou wert an austere man, reaping where thou hast not sown, and gathering where thou hast not strewed.' That is to say, when he had begun to lose his love to his Master, he lost his confidence in his Master's love. He began to distrust the love of God, because he knew that he was wanting in love towards Him. So that the sin of omission at last threatens the life of the soul: for the life of the soul is charity. 3. Then, thirdly, from these sins of slothfulness comes a certain animosity against those who love God. Just as the soul turns away from God, in that proportion it has an animosity against those who continue to persevere in the love of God; so much so, that the very sight of any one who is fervent in the love of God becomes an eye-sore. We know--and you, I have no doubt, know by your own experience--that we can tolerate anybody as a companion who is less pious than we are, but we cannot easily tolerate anybody who is more pious. Any one who prays more, or any one who makes more of his duties towards God and his neighbour: any one who is more just or more holy is a constant reproof and rebuke to us. "We are ill at ease in his presence; but anybody who is lower than ourselves we can tolerate easily. He is neither a reproof nor a rebuke; on the contrary we think we can teach him, and we are soothed by thinking that we can set him an example. There is nothing galling or painful in the companionship of those who are lower than ourselves in the spiritual life; but those who are above us, unless we are humble, make us restless. One sign of those who are declining from God is this: they do not like to see people go so often to Communion; they get impatient at hearing of their going so often to confession; or if they know that they often visit the Blessed Sacrament, or that they spend a long time in their room in prayer, all this makes them uneasy. Finally, even the grace of God which they see in others becomes to them a trial. If they see people more zealous than they are, more fervent, more self-denying, more prosperous in working for God--in saving souls, in doing works of charity, or in labours of spiritual mercy--even that very spiritual prosperity of their neighbour makes them to fret. They are conscious that they are not like them, and that consciousness is painful. If you look for an example out of Holy Scripture I will give you two. When the Prodigal Son came home, and the 'father forgave him, and gave him shoes on his feet, and the first robe (S. Luke xv. 22. ), and made the festival of joy, the elder brother, when he heard the music, refused to come in. He was jealous and angry. When our Divine Lord sat in the house of Simon the Pharisee, and poor Mary Magdalen, with all her sins upon her, burst into the midst of that banquet, and washed the feet of our Lord with her tears, and anointed them and kissed them, Simon the Pharisee said to himself: 'This man if he were a prophet would know who and what manner of woman this is, for she is a sinner.' Our Lord said: 'Simon, I have somewhat to say to thee. I entered into thy house; thou gavest Me no water for My feet: this woman since I came in hath washed My feet with her tears. My head with oil thou didst not anoint; but she hath anointed My feet with ointment. Thou gavest Me no kiss; she, since I came in, kissed My feet (Ib. vii. 37, 46.). In the heart of that Pharisee, upright as no doubt he was, and pure from the sins which stained poor Mary Magdalen, there was a lack of charity before God, a pride, and censoriousness which was rebuked by the grace of penance in that poor, fallen woman. 4. A fourth effect of the sins of omission and of this decline of the soul is despondency, which is akin to despair. A consciousness of sin has the effect of depressing the soul, and, unless it soften it, of making it to doubt its own salvation; for where the charity of God and our neighbour has become low and faint, if it be not altogether lost, there both hope and faith begin likewise to decline. Any man who is conscious of his own sins, knows that though men do not see them or suspect them--though they are only half known and half seen even by his own conscience--they are all perfectly seen and known to the eye of Almighty God. This consciousness of sinfulness coupled with the consciousness of impenitence, the sense that he is not softened, nor humbled, but rather that he is irritated by the clear sight of his own sin and of the graces of those that are about him, lights up a high fever of resentful heat which grows more fierce as charity declines. The will in its stiffness refuses to bow itself before God, and though a cloud on the conscience half hides many sins that are not altogether forgotten, he is half conscious of many and therefore full of fear, not knowing whether or no he is the object of a final hatred. A soul in that state becomes desponding and reckless, so that in a multitude of cases, instead of turning towards God by repentance, it turns recklessly away from God and plunges further into sin. So long as there is a hope of salvation, a hope of pardon, and so long as a good name and fame among men is not lost, a man is sustained by a certain lingering confidence and restrained from a multitude of sins; but the moment hope is lost and the last spring is broken, a man who began only with sins of omission and then sins of sloth, will at last plunge recklessly into sins he never committed before, saying: 'It is too late--I have gone too far--I am too bad. Spots are not visible upon a black garment, and I am black before God, whether I am so before man or not;' on this, he plunges himself further and further into sin. Those who answer to this description verify the words of our Divine Lord to the Church of Sardis: 'I know thy works, and that thou hast the name of being alive, and thou art dead. Be watchful, and strengthen the things that remain which are ready to die. For I find not thy works full before My God (Apoc. iii. 1).' The meaning of this is: Thou hast lost thy first charity; there remain faith and hope in a little measure. The reed, though bruised, is not broken--the flax, though smoking only, is not quenched; there is hope yet, for faith and hope are not yet dead; but when once hope is dead, what can remain? Take example from Scripture. 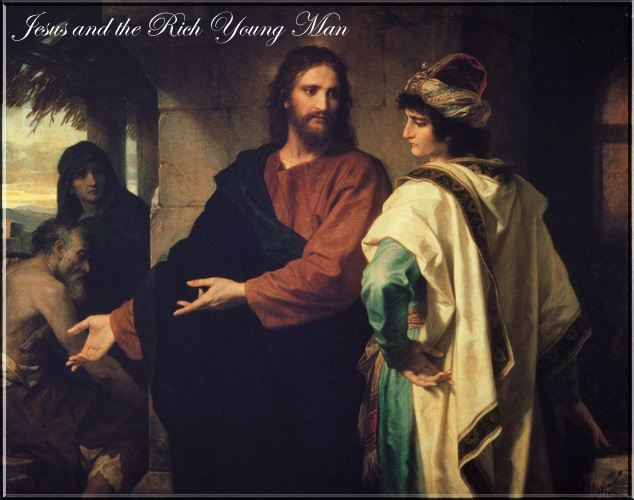 Judas sold his Master; Peter denied Him. Judas had lost his love for his Master, but Peter loved Him still. Judas had lost his hope, but Peter hoped yet; and Peter went out and wept bitterly, and was forgiven; and Judas went out and hanged himself. I hope, then, that I need speak no more upon this severe part of our subject. I will only give two very short counsels. The one is this: aim at the highest and greatest things of God's kingdom. Do not think that it is humility to try to live a commonplace Christian life. Dear brethren, it is like seamen who say, 'I will not launch out into the deep, but I will keep near the shore.' To keep near the shore is not always safety; to keep near the shore requires the greater seamanship; to keep near the shore may be to run the greatest risk of wrecking. Do not imagine for one moment that this is humility. The humblest may seek the greatest things in God's kingdom. Aim at the highest. You have been called to be saints, every one of you. The very name by which we are called in the New Testament is 'saints.' With all your sins and imperfections about you, you are called to be saints. If you are to be saved, saints you must be before the throne in the kingdom of God hereafter. Saints you are now, if the Holy Ghost dwell in you, and you are united in love to God and your neighbour. Sanctity is in you; and as the twilight of the morning is the light of day, and differs from the noonday only in the degree of its splendour, so the sanctity which is in you now differs only in the degree of its manifestation from that perfect sanctity which shall be in you when 'the just shall shine as the sun in the kingdom of their Father (S. Matt. xiii. 43).' Is it possible, then, that we can aim at anything lower than this? It is a deceit of the devil for any man to turn aside from the path which leads him upward to the highest Christian life under the notion of humility or of impossibility. The grace that is given to each one of you is measured according to the vocation wherewith you are called. If God has called you to be saints, He has given you, and will give you, grace sufficient to enable you to become saints--ay, the guiltiest among you, and there may be some ears listening to my words conscious of the stain of mortal sin. Even the guiltiest that hears me has grace offered now, at this moment, to become penitent, and through penitence to become a saint. The most tempted, the most buffeted, the soul that has fallen oftenest, that has been cast down over and over again by long habitual and inveterate sin, even to that soul grace sufficient is offered at this time to be a saint if it have the will to receive it. More then this: the most slothful, the most sluggish souls, the souls most conscious that they are covered with sins of omission, and that there is not a duty they do which they do not do so tardily and imperfectly as to be utterly ashamed of themselves in secret before God, even such souls as these have the grace of fervour and zeal and strength and piety and perseverance offered at this moment if they have only the will to accept it. The only condition is this: break with the world, with sin, and with yourselves, and be on God's side. Take up your cross boldly; follow Jesus Christ. Have no compromises, no reserves, and He will do the rest for you. The other counsel is this. Cast yourselves with all your offences of commission and omission, all your faults, all your stains, all your weight, with the whole burden of your sins on you--cast yourselves upon the Sacred Heart of Jesus as John lay upon His bosom at supper. Do not think that this is not for you. Do not say, 'It is not for me to cast myself there--there where the beloved Disciple lay.' Why did he lie there? Was it because he loved his Lord? No; it was because his Lord loved him; and that same love which He had for John, not in degree it may be, but in kind, in its infinite tenderness and its infinite compassion, that same love is yours. He loves you, if not in the same measure, in the same manner, and therefore cast yourselves upon the love of our Lord. The gift of free will, which we all have, is a perilous gift. It is a wonderful mystery that a man can balance and poise his body to stand or walk--every motion rests in a mysterious manner on the balance of nature; but the freedom of the will is still more mysterious, and still more easily cast down. We are surrounded by temptation all the day long, and the world is constantly playing upon us by its powers of assimilation. Worse than this, there is the treachery of false and subtil hearts, of hearts always ready to take fire. All the day long sin springs up within to meet the temptation from without. For that reason you have more need. Do not say, 'That makes me less able to cast myself upon the Sacred Heart of my Redeemer.' It is for that very reason that you need to do it. As the blind man went to the Pool of Siloe; as the lepers came within reach of the hand of our Saviour; as the poor woman touched the hem of His garment-- so, as your miseries are the greater, you have the more need; and if you will come to Him, He by His Spirit within you, and by His protection about you, will keep you from all evil, and will confirm you in His grace. And that you may do this, I will bid you adopt from this day one practice.